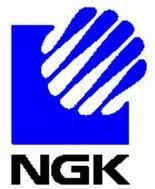 After months of silence, NGK finally communicates on June 7th, 2012, about the NAS battery fire incident. The cause: a single faulty cell. One of 15,360 cells composing a 2 MW block. The solution: safety enhancement. No need for design change. Big incident, easy solution. Anti-fire boards above and below battery modules. The two first measures requires about 6000 battery modules from 174 locations in Japan, France, Germany, UAE, UK and USA to be collected in NGK facilities in Japan and then shipped back. Along with additional safety measures (improved fire monitoring system, installation of fire extinguishers and fire-prevention equipment), as well as facilities organisation improvement (setup of a fire-fighting structure on site and of a fire evacuation route, with guidance system).